A+E-backed US prodco Propagate Content has forged a partnership with Greece’s Antenna Group to develop and produce original formats and content. The pact already has two original series in development, with both scheduled to air next year. The first is a local version of Propagate format Wham-O’s Slip ’N Slide, which will be coproduced by Propagate with Antenna’s flagship network ANT1, in association with Bruce Kaufman, president of Wood Hollow Pictures. The gameshow sees contestants face six rounds of performing simple tasks, with the hindrance of having to do so on the slippery Slip ’N Slide play surface. The series is being made for ANT1. My Best Friend’s Fear, coproduced with local prodco Makedonia TV, is a hidden-camera prank show where a person is set up by their best friend for a fright. The deal comes a couple of months after a similar pact with Brazil prodco Formata Produções. “Antenna Group is the leading broadcaster in southern Europe, and we both believe there is a tremendous opportunity for us to develop original content together that we can distribute worldwide,” he added. Propagate was set up three years ago by former Reveille pair Ben Silverman and Howard T Owens, with backing from A+E Networks. 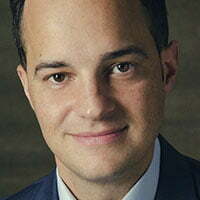 It recently hired the former CEO of All3Media America, Greg Lipstone, as president.